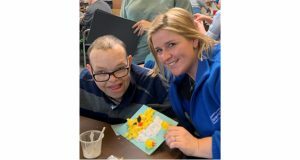 Caremark Bromley has planned and funded an Easter arts and crafts event, at Astley Day Centre, in hopes of bringing people living in the community together. 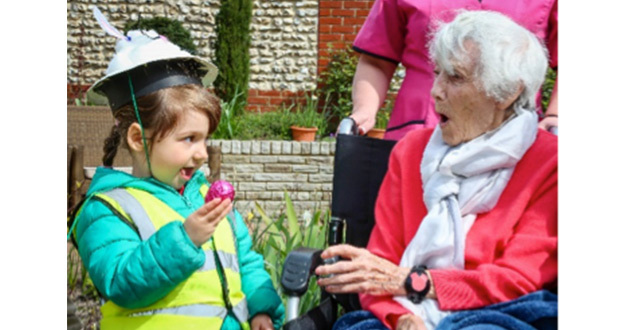 Local elderly and vulnerable people, along with their care workers, were invited to come along on the morning of Monday 1st April to decorate cards, bird houses, spring flowers and Easter eggs. All in all, 22 people attended the fully-funded event. 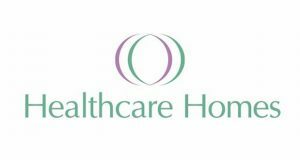 Caremark Bromley, who provide in-home care to clients across the borough of Bromley, provided all of the arts and crafts materials. They openly encouraged their existing clients to attend on the day. Regular visitors to the Astley Day Centre were welcomed to take part in the activities and socialise with Caremark clients. 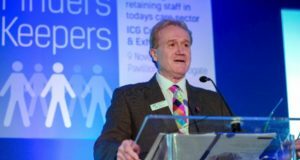 Laura Merryweather, from Caremark Bromley, planned the initiative, along with charitable organisation Certitude, in an effort to bring local residents together. Caremark’s client John had a brilliant time. Usually a man of very few words, when asked if he was enjoying the arts and crafts morning, he enthusiastically agreed and continued with the painting in hand. 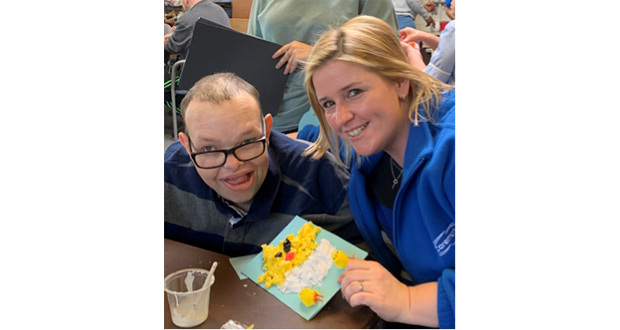 John often struggles to maintain focus on any one task, so his care worker, Nic, was over the moon that he enjoyed the event for the whole morning. Participants were invited to take their handmade cards, paintings, picture frames, money boxes, Easter eggs and spring flowers home with them, to share with loved ones over the Easter weekend.